A post-mortem examination has been carried out to reveal that Emiliano Sala died from “head and trunk injuries” following the tragic plane crash last month. 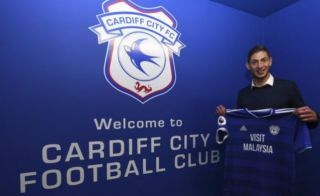 Sala was travelling to Cardiff on January 21 along with pilot David Ibbotson when their plane crashed in the English channel. The Argentine’s body was recovered last week, and as noted by Sky News, following further examinations it has been revealed that he died from “head and trunk injuries”. The tragedy claimed the lives of both on board, with the family of Ibbotson now raising £150,000 in just two days as the search goes on to find him. It’s hoped that his family are able to find closure first and foremost, while the report adds the inquiry into the crash could go on for between six months and a year as further examinations are carried out into the matter.